The sound, traced to somewhere around 50° S 100° W (a remote point in the south Pacific Ocean west of the southern tip of South America), was detected several times by the Equatorial Pacific Ocean autonomous hydrophone array. This system was developed as an autonomous array of hydrophones that could be deployed in any oceanographic region to monitor specific phenomena. It is primarily used to monitor undersea seismicity, ice noise, and marine mammal population and migration. This is a stand alone system designed and built by NOAA’s Pacific Marine Environmental Laboratory (PMEL) to augment the U.S. Navy SOund SUrveillance System (SOSUS), equipment originally designed to detect Soviet submarines. According to the NOAA description, it “rises rapidly in frequency over about one minute and was of sufficient amplitude to be heard on multiple sensors, at a range of over 5,000 km.” The NOAA’s Dr. Christopher Fox does not believe its origin is man-made, such as a submarine or bomb, or familiar geological events such as volcanoes or earthquakes. 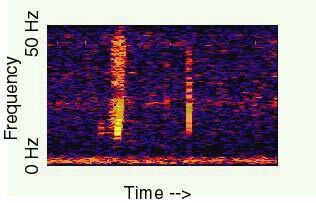 While the audio profile of the Bloop http://www.pmel.noaa.gov/vents/acoustics/sounds/bloop.wav does resemble that of a living creature , the source is a mystery both because it is different from known sounds and because it was several times louder than the loudest recorded animal, the blue whale. 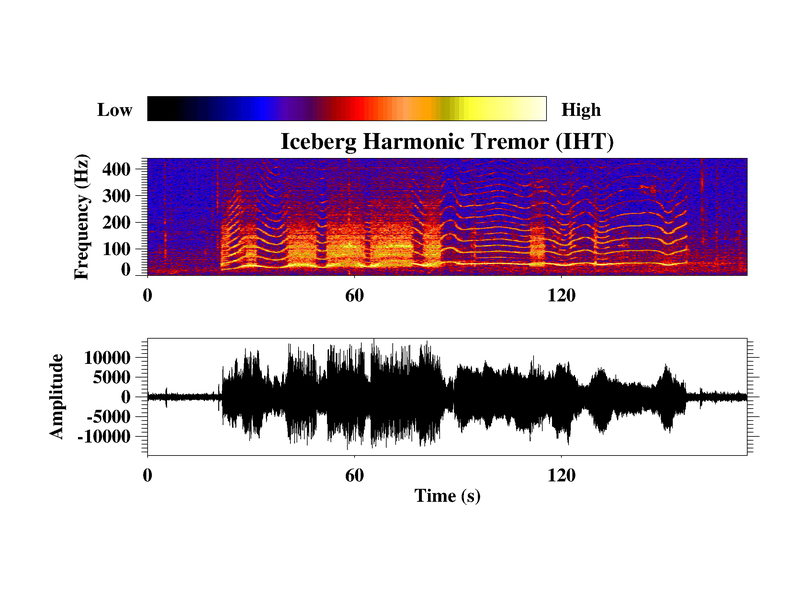 The broad spectrum sounds recorded in the summer of 1997 are consistent with icequakes generated by large icebergs as they crack and fracture. 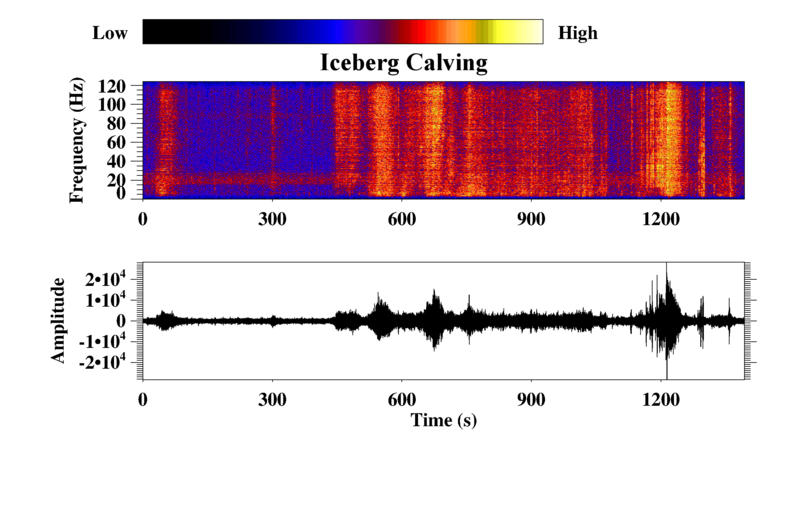 NOAA hydrophones deployed in the Scotia Sea detected numerous icequakes with spectrograms very similar to “Bloop”. The icequakes were used to acoustically track iceberg A53a as it disintegrated near South Georgia Island in early 2008. Icequakes are of sufficient amplitude to be detected on multiple sensors at a range of over 5000 km. Based on the arrival azimuth, the iceberg(s) generating “Bloop” most likely were between Bransfield Straits and the Ross Sea, or possibly at Cape Adare, a well know source of cryogenic signals..